Tommy The Gardener is so adorable with his little wheelbarrow and shovel. He is ready to get planting and engage the imagination of your favorite little one. 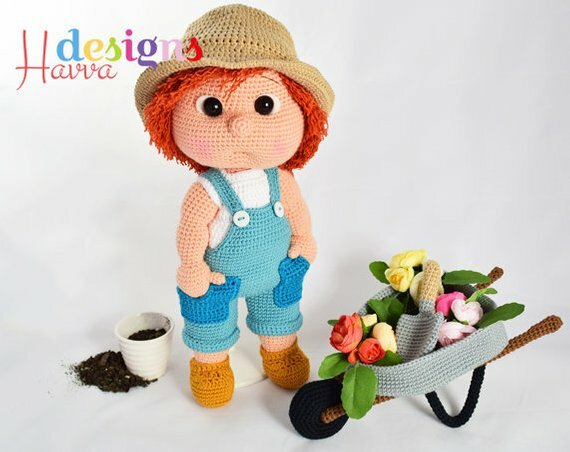 Tommy will make a great gift for an adult who loves gardening as well. Etsy PDF $6.60 on sale for $4.92 at time of posting.